Medium vigorous plant, erect habit of growth and high yielding. 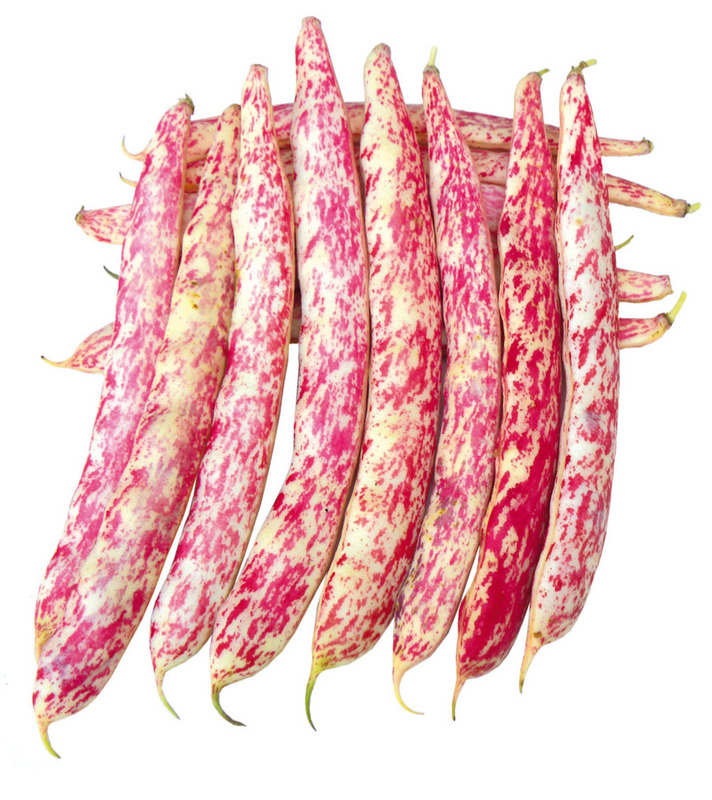 Medium long pod (13/15 cm), slightly arched, white with red speckles. Kidney shaped seed, white with pink stripes at semi dry stage.